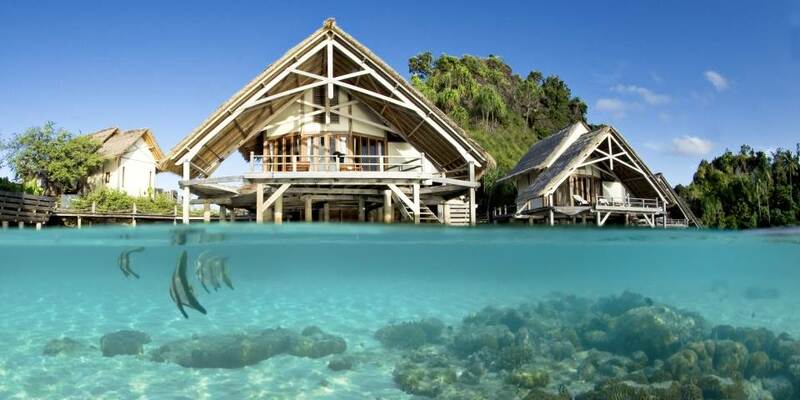 Nestling deep in an archipelago of uninhabited islands, in remote southern Raja Ampat, Misool Eco Resort is a private resort in the very epicentre of marine biodiversity. The resort island, Batibim is a tropical hideaway, 105 miles from the nearest port and 12 from the nearest village and just south of the equator, it is fringed with powder-white beaches and pristine coral reefs. Dining at Misool takes place in the Restaurant which is located in the centre of the horseshoe on the beach, tucked behind the coconut palms. The emphasis is very much on fresh local produce and fish, all served with an Asian fusion twist. The seas around Misool are home to the world’s richest reefs and dive sites. Divers can expect a wide variety of sites with this corner of southern Raja Ampat famous for untouched reefs festooned with wildly colourful soft corals, massive gorgonian sea fans and rich reef life. 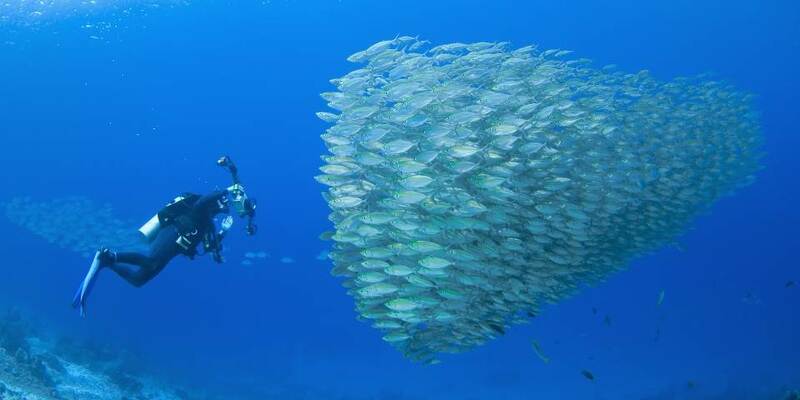 Closer to home the House Reef will definitely not disappoint and snorkelers will see horse eyed jacks congregating under the pier, joined by schools of fusiliers and shoals of passing anchovies. Black tip reef sharks patrol the deeper areas where occasionally a grey reef shark may be seen. The House Reef is perfect for photographers and for those who enjoy unusual animal behaviour, holes in the sandy substrate may be hiding the unlikely duo of goby and shrimp, the goby warns the shrimp of impending danger while the shrimp itself does the housekeeping and keeps the burrow tidy. Octopuses are also seen regularly hunting or mating in the shallows. Misool also has a broad approach to conservation which ranges from reef restoration projects, to building kindergartens in local villages and sponsoring school teachers. 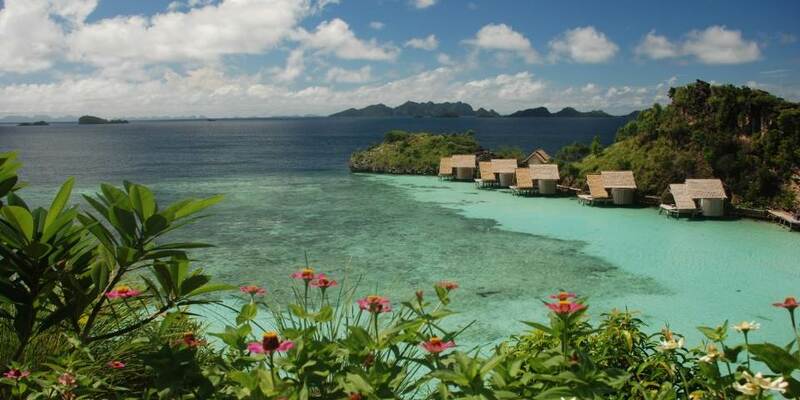 A maximum 32 guests is accommodated in Water Cottages or deluxe Villas. Each has been crafted by skilled local workers and is engineered to achieve a balance between comfort and energy efficiency. Local reclaimed wood purchased directly from local people was used in the construction and the fine carpentry and furniture was crafted by the on-site team. All cottages are spacious with Balinese style bathrooms. Wide private verandas feature hammocks perfect for lazy days while the Water Cottages have steps that lead down for easy access to the House reef and shallow lagoon. The 4 deluxe villas are perfect for those seeking more seclusion, Villa Tabisasu is perfect for a couple who want more space, and it faces east to catch the amazing sunrise. 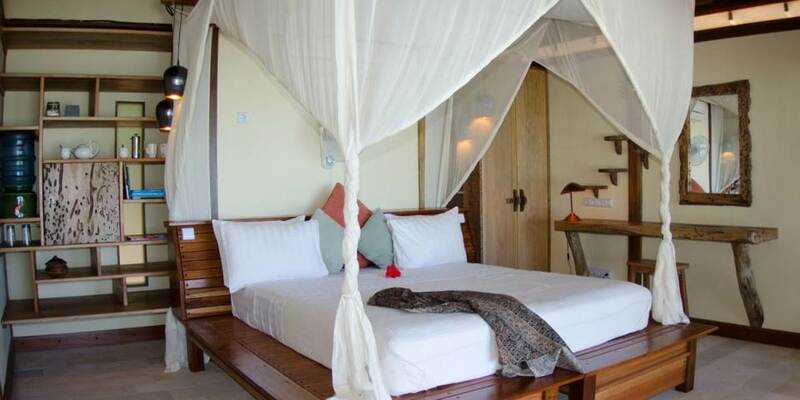 The two bedroomed Villas Utara and Santai are perfect for families or groups of four. 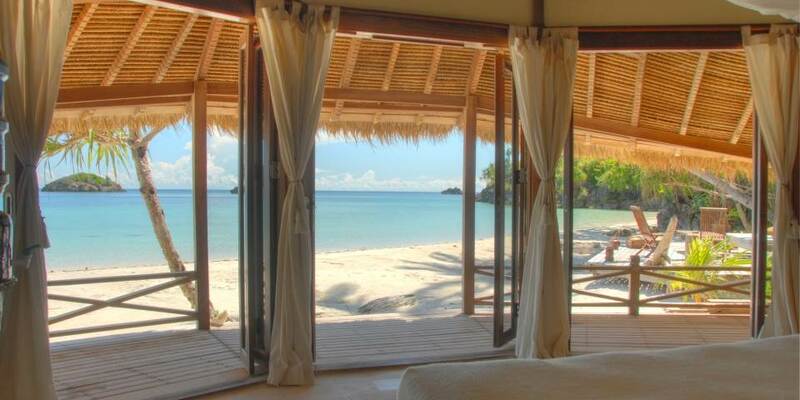 The ultimate villa is Villa Kalanme which is located on secluded South Beach, a complex of three separate en suite bedrooms, a shared common area, a loft and a massive veranda; it is the perfect hideaway for those who enjoy greater privacy and gorgeous white sand beaches.